It's my spring break! I've got a whole week off to bask in the sunshine. That means I'm in a particularly good mood and what better way to celebrate than by giving away mulah?!? This month's sponsors are being oh so generous and have pooled their hard earned cash together to give to one of you. Entering the giveaway has never been easier- just enter through the links of the rafflecopter below. BOOM BABY BOOM. Winner will be chosen on Thursday, April 24, 2014. All entries will be verified. International readers may enter conditional upon having a Paypal account with which to receive the winnings. Yay for Spring Break!! A bunch of my teacher friends started their spring breaks this week too and they all couldn't be more thrilled about it! This would be great to win! Have so many things we need to get for our new arrival in July! 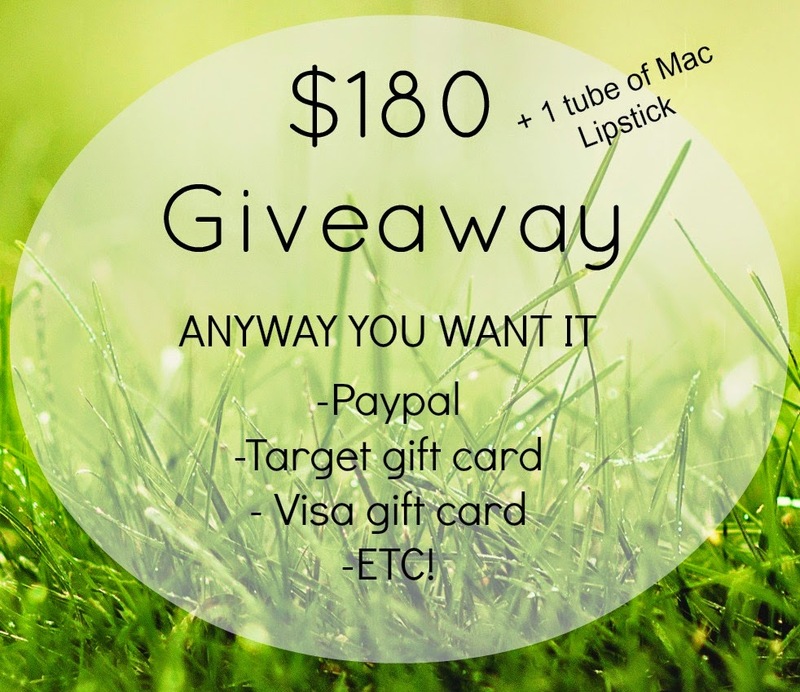 This is such an amazing giveaway! :) Thanks!